"How can we trust the bible? It was written so long ago." "If God is so powerful, why doesn't He just destroy Satan?" "How can Jesus be God and God's son?" This is just a sample of the questions I have heard from students in our preteen program over the past year. We usually expect questions like these from adults who are exploring Christianity. There are entire books and seminary level classes that aim to answer just one of these questions. People spend their lives defending the reliability of the bible or engaging in debates on these topics. They are tough questions and they are coming from students as young as 11 years old. Over the past few months, we've been talking a lot about the post-Christian context we live in today, in Canada. Kids are growing up without a common knowledge of the bible stories we grew up learning about. Most kids don't grow up with a parent that teaches them a Christian worldview. Since this is our reality, students need a place to be introduced to God. They need Christians to take an interest in their lives, to teach them the incredible truth of the bible. And they need these informed Christians to be able to answer any questions that are preventing these students from giving their lives to Christ. Gap Jr is our preteen program that aims to do this exact thing. It is a program on Thursday nights for students in Grades 5-7. We aim to give students a place where they can be introduced to God, and where they feel comfortable to ask the questions they are wrestling with. We have formatted our nights to accomplish these things. Every night, students rush in the doors, they are greeted by leaders, and head off all throughout the church to play basketball, make paper airplanes, or just hang out in our youth centre. We play a big game with everyone so students can get to know each other, get to know their leaders, and have a lot of fun. Then, at the end of the night, we open up the bible with them, either through a group message or a small group time led by leaders. 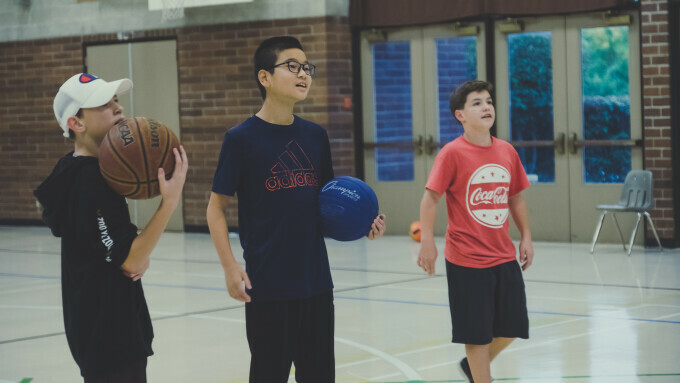 All of these activities, games, and lesson times are intentionally in place so that students can be introduced to Jesus Christ. We want to give this next generation a place where they feel loved. We want to see their biggest questions answered. We want them to know Jesus Christ as their Lord and Saviour. God is using this program and volunteer leaders to draw preteens in South Delta to Himself. We are always looking for more people to get involved in this exciting program and would love to have you out for our Thursday night or Sunday morning program to see this ministry first hand. If you are interested in supporting this ministry in any way, email our Youth and Young Adult Director, Kyle McDonald, or call the church office at 604-943-8244.